A talented batsman that combines the old school virtues of technique and touch with the modern day emphasis on speed of scoring, and has early endorsements from the cricketing wiseguys, seems irresistible to the selectors. Despite their many failures and a trail of inconsistency, the selectors are always prepared to give him another go while more deserving candidates twiddle their thumbs on the bench and the sidelines. The fans go apoplectic every time a Test squad is announced and the batsman is picked without any data to show that they have scored the runs at first class level to earn a recall, and Social Media lights up with derision and schadenfreude when the said batsman fails with the single word, “Talent.”. 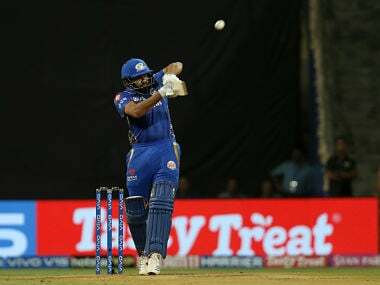 Is the batsman Rohit Sharma? Well, it is the Rohit Sharma of Australia, Shaun Marsh. If you are in to wordplay, it is hard to miss the anagram: “Sharma” is “A Marsh”. In addition to possessing eye-catching batting ability, and the “time” to play his shots, the technical virtuosity and the touch, Marsh, well, is a Marsh. The son of former Australian opening batsman Geoff “Swampy” Marsh. While Sharma received praise from Ian Chappell during the 2008 CB series in Australia that anointed him as the next big thing for Indian middle order, Marsh, destined to play for Australia due to his lineage and abundantly obvious talent, received praises from none other than Steve Waugh at the end of a Shield match between New South Wales and Western Australia in 2003. As a 19-year old, already two years in to his first class career but accomplishing nothing of note, Marsh chose the perfect occasion to make everyone take notice. Facing a NSW attack that included Doug Bollinger, Stuarts - Clark and MacGill, and the Waugh brothers, Marsh stroked elegantly his way to a maiden first-class century. The then Australian captain said that it was the “best innings he has ever seen from a 19-year old” and that Marsh “looks an outstanding talent” and his strokeplay “superb”. The problem is that looks can be deceiving. Just as Sharma took a long time to debut for India in Tests, while his limited overs accomplishments in ODIs, T20Is and IPL were piling up, Marsh too had to wait while his stocks kept climbing through his performances in IPL and ODIs. He finally made his much-expected and awaited debut as a 28-year old in 2011 at Pallekele, as Ricky Ponting had to leave mid-tour from Sri Lanka for the birth of his child. Just as Sharma would on his Test debut in 2013, Marsh hit a crisp century breaking the dam of praise wide open. Sharma since has flattered to deceive, scoring just one more century in his next 20 Tests while Marsh has been a bit more productive with three more centuries in his next 18 Tests for Australia. Sharma's average languishes at 37 while Marsh's is just barely above 40. For batsmen that were thought of to have the sublime ability, and expected to be a mainstays of their respective batting lineups, both of them have been spectacularly disappointing. Both batsmen also have had more than their fair share of injuries and that hasn't helped their cause either. In Sharma's case his FC record could not be ignored and at one point his FC average was in the sixties. Even with a below-average Test record, Sharma still averages 54 in FC where as Marsh, a pitiful 40.7. The Australian selectors besotted with Marsh's classical technique and his connection - through Geoff -to an era when Australia rose from the ashes, insisted on Marsh playing for Australia even as his FC record showed that he ought not to. Soon after his debut, while Australia thrashed India 4-0 at home and every batsman filled their boots with runs, Marsh, playing in all four Tests, ended the series with an average of 2.83 (17 runs in 6 innings). He was then let go from the side for two years and when he was recalled in South Africa, he returned with a bang – 148 and 44 at Centurion, only to be followed by twin ducks at Port Elizabeth which led him to be dropped, again. He was given another chance against India at home, and had a middling series (average: 42.5) and was included in the tours of West Indies and England in 2015. An average just over 34 against a poor West Indies meant he did not get to play till the Test at Trent Bridge where Stuart Broad in a magnificent spell of fast bowling crushed Australia. A duck in the first innings and two runs in the second, both times edging to slips, Marsh cut a forlorn look and his career looked to be over. But talent always gets another chance. He was brought back to replace injured Usman Khawaja for the Day/Night Test against New Zealand, and scores of 2 and 49 meant, Marsh continued to be in the selection panel's mind. As Khawaja stayed out, Marsh thumped the hapless West Indies at Hobart before making way for the fit-again Khawaja. He was taken to Sri Lanka, the country of his Test debut, and found a spot at the top of the order as Joe Burns was found wanting facing Sri Lankan spinners on spinning wickets. 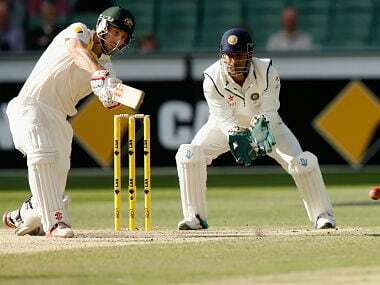 Marsh promptly hit another hundred but Australia were whitewashed. He broke his finger in the only ODI he played there but proved his fitness playing for Western Australia against the visiting South Africans. A decent outing at Perth in the first Test against South Africa followed but he missed the rest of the series, and the following one against Pakistan, breaking the same finger while fielding. Even though Matt Renshaw brought in as replacement after Burns was tried at Hobart – and failed, has begun to settle in to the opening slot (average 63 in four Tests), there is now talk that perhaps Marsh should get the nod ahead of Renshaw because he has prior experience of playing in the subcontinent! It's possible that Marsh may get a look in – here we go again, but that should not come at the cost of the young Renshaw. A trying tour of India could only do the 20-year old a world of good while Marsh is approaching an age (34) where the end is not too far. If anything, Marsh could find a place in the middle order instead of his allrounder brother Mitchell at six. Rohit Sharma has not been selected for the first two Test as he is still recovering from a thigh injury last year which has made him miss eight Tests so far this home season. 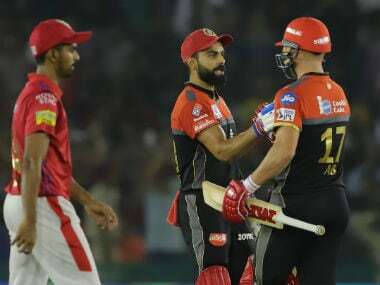 The career arcs of Sharma and Marsh are eerily similar and should serve as a cautionary tale not only to future “talents”, but also to the selection panels that are easily seduced by promise and continue to hedge their bets on them even as they remain unfulfilled, at the cost of stunting deserving players who have done their time in first class with distinction.